Oven/Incubator Thermometers, L shapes size 200mm.x200mm., mercury in glass . accuracy +1 division. - Mercury / Red Spirit filled. 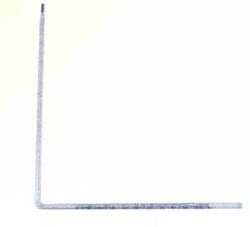 - Long immersion length of 450 mm, 600 mm or 900 mm. This Ø65mm stainless steel oven thermometer features a clear dial indicates temperature over the range of 0 to 300°C in 5°C divisions. The housing measures 40 x 70 x 75 mm can be free-standing and positioned in middle of the oven for accurate temperature reading. 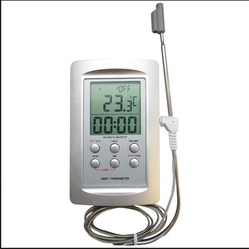 We are instrumental in offering Oven Thermometer to our clients. It is also known as Long Stem Thermometer.